Bubble Cards - known as “All the Bubbles”, was published by Thomas Bowles and sold in St. Paul Churchyard amongst other places. 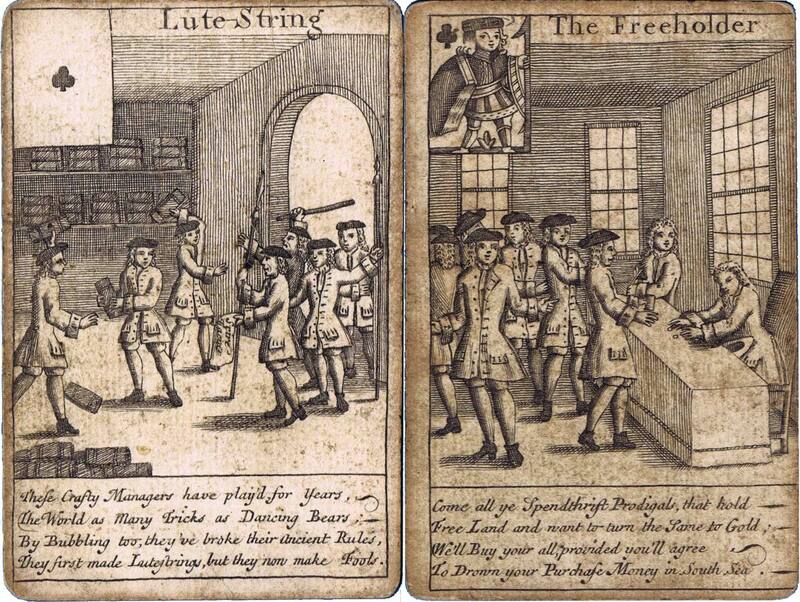 It was first advertised on 12th March 1720. Most people know of the South Sea Bubble fiasco but few know of the many bubbles that presented themselves at the same time. 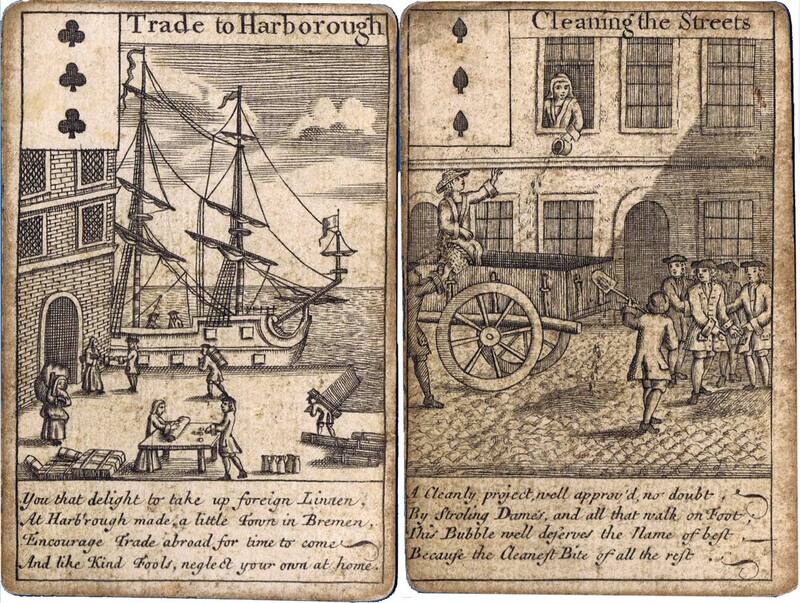 The cards illustrate in a factual manner some of genuine and spurious projects that occurred during this period. All schemes seemed to be making money out of nothing such that investors mortgaged their profits before they took them by buying new coaches, cloths, furniture etc. When stocks collapsed not only did the owners suffer severe financial loss but also the traders with whom orders had been placed! The cards are printed in black (spades & clubs) or red (hearts & diamonds) and have miniature playing cards in the top left-hand corners. 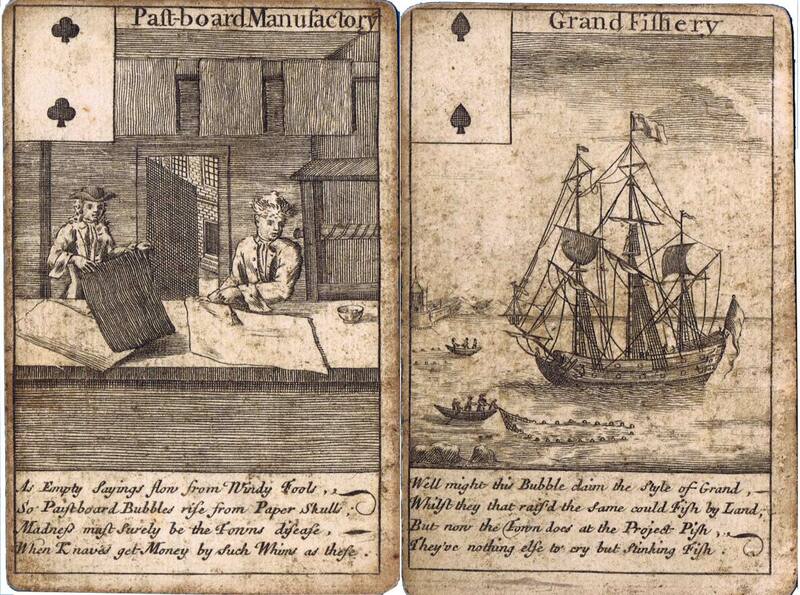 Above: Bubble Cards - known as “All the Bubbles”, c.1720. 52 cards. 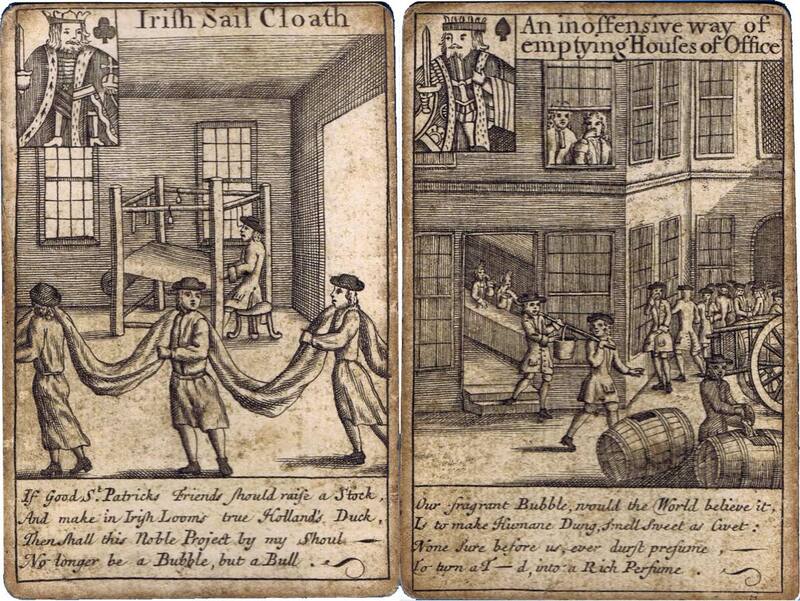 Each card portrays a drawing, with a title above and a verse below, of a scam that was offered in Coffee Houses and in Exchange Alley, London. “An inoffensive way of emptying House of Office” (King of Spades) referred to the gunpowder plot. 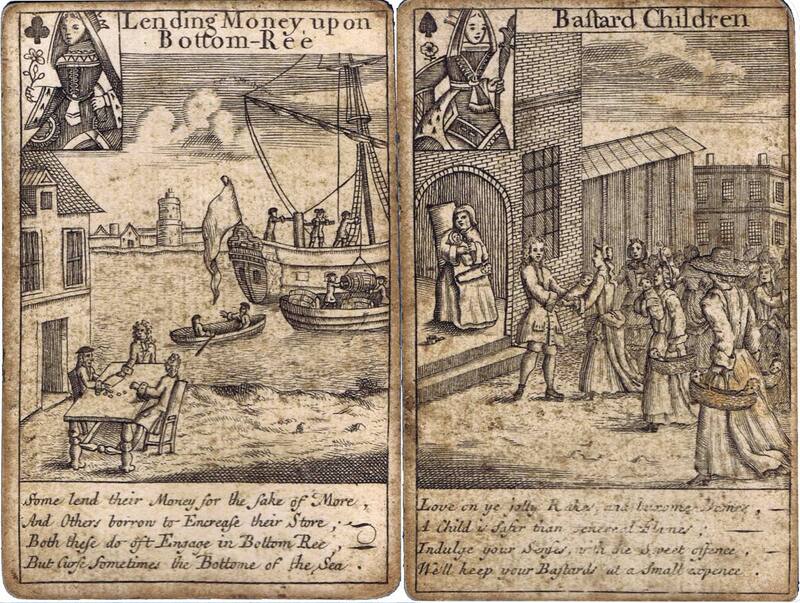 Above: a selection of the red cards, from a different pack, with the four line satirical verses cut off, presumably as politically incorrect or offensive to those who suffered the consequences of a particular ‘bubble’. Above: an extract from The South Sea Bubble by Lewis Melville gives an idea of how the stocks moved. You can see that the “Insurance against Fire” stock hit a high of 64 times it’s issue price!